Taoist founder Lao Tzu was immortalized by saying “every journey starts with a single step”. Well, that ancient Chinese proverb didn’t exactly apply to me during my recent trip to Palawan. I was out of the house with my overstuffed backpack and enthusiastic vigor on my way to ride the ferry to Puerto Princesa City, Palawan from Iloilo City. When I got to the ferry terminal, the guard told me that the boat was already fully booked and I had to wait a few more days to catch the next one. Total Bummer! So I had no choice but to go back home and postpone my trip. After four days of recuperating, I was out of the house again with a renewed fervor and the same unopened backpack, except this time, I have already secured the reservation for the ferry. I was really looking forward to visiting Palawan for a few months already. No other place comes to mind to do my first solo backpacking trip than in Palawan, which is definitely on the top of my list of places to travel in the Philippines. 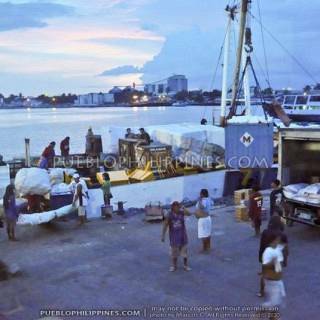 My whole trip to Palawan including transportation lasted for 13 days. Starting in Iloilo City, I went to Cuyo Island and several destinations in the northern half of Palawan Island including Puerto Princesa City, Honda Bay, Sabang (St. Paul Underground River), Port Barton, San Vicente, Taytay, and El Nido. good job frnd! 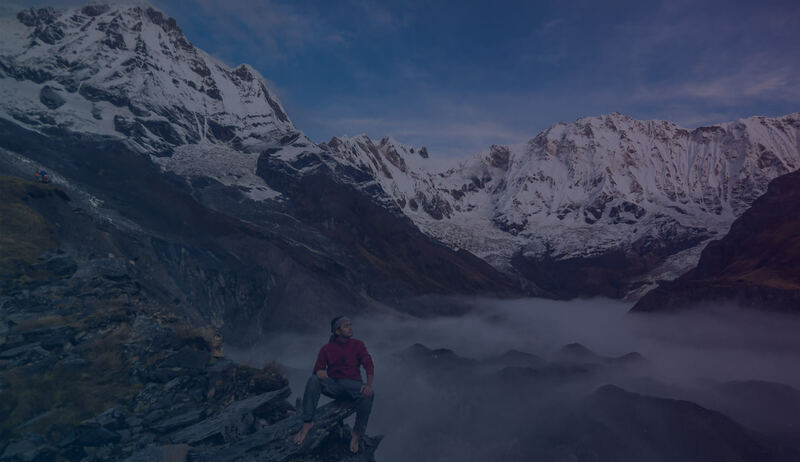 another comprehensive backpacking guide! but gosh! Palawan is pretty expensive! :D I was really waiting for this post, will definitely use this when I revisit the island. congrats! thanks :) Yeah, my trip was but I had to stay there for an extended time since I wanted to go to a lot of places and was moving from one destination to the other almost every day. Will be posting my detailed itinerary with bus fares, room rates, tour prices etc… soon so everyone can see the breakdown of expenses. ang ganda ng pagka lathala ng experience mo tol..nkita ko to sa pex..ang galing..ang laking tulong nito sa mga backpackers tulad ko..
ui kmusta si kuya jason! sa iya ka gali nag book tours? Ganda ng day4, mahaba talaga ang boracay, san kapa nagstay sa boracay nun? Great post! nice job and fantastic photos. Was just wondering, did you bring your d5000 all the time? must have been a bit heavy for those long walks. But would love to do your route one day. i so like this post. lots of nice photos and useful tips. just got home from El Nido..but reading your blog makes me wanna go back again the soonest…I hope I could the same thing you’ve done…solo backpacking..no hassle no definite itinerary, i mean you always have to adjust on the situations like, public transpo system, weather etc. Me and my gf are planning to go to palawan probably after the lenten season and i’m thinking bout backpacking because i think its more fun than joining the group tour. i got a lot of informations and tips from your trip to palawan since we have no idea about palawan, though we’re also asking few relatives and friends who’ve been there before. 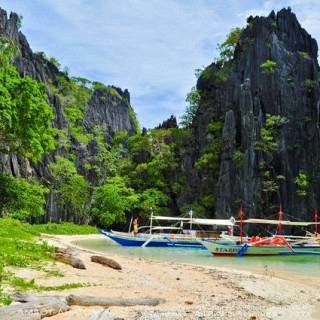 i cant wait to see it by ourselves and experience palawan firsthand. thanks for the big help man. Awesome! Hope you have a successful trip beachin. Palawan is one of the best and easiest places in the Philippines to backpack, you can just ask the locals and other backpackers for advice/recommendations when you’re there. Thanks chin chan, I have same sentiments whenever I read helpful posts from other bloggers. In some way, I feel grateful / connected with them whenever I have positive experiences because of the tips I read from other bloggers. Good luck on your trip! 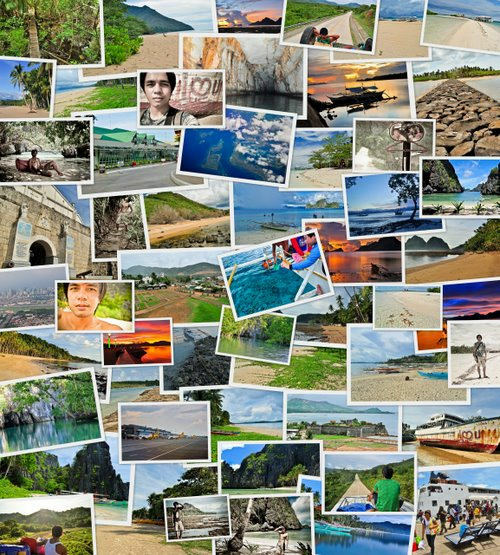 I’m sure you’ll have lots of things to blog about Palawan. What days are you going? i’m planning to go on Aug too. Your blog is amazing!!! The photos are great too! 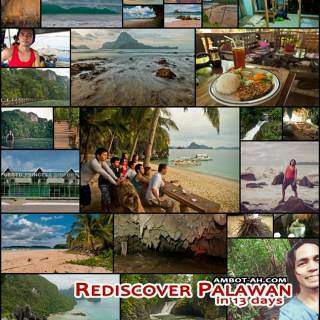 I’m going to backpack Palawan this coming July and will definitely check out the accomodations you mentioned. Any tips on a solo female backpacker like myself that you could give? Thanks May Ann. 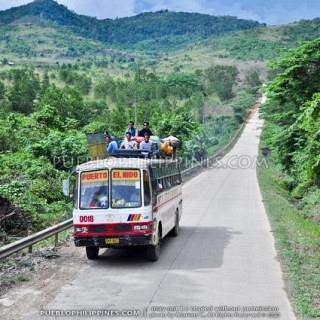 Kewl, I want to go back to Palawan … it’s a big island and there’s so many places I still have to discover… tips for Palawan, hmm… If you’re commuting for your trip, research ahead about bus schedules since a lot of the routes are limited and don’t run for the whole day. Plan accordingly. If you’re going to El Nido, allot at least two full days just for island hopping tours, they’re definitely worth it :) The stuffed squid of “Squidoo” in El Nido is really good, hehe … nakaka miss siya. your blog is awesome! i’ll be visiting Palawan on Aug.
thanks mandex! Good luck on your trip! Oo nga, I also believe in the mantra of backpackers: DIY travel is still cheaper than the cheapest tour package. Yun rin yung biggest issue ko when traveling solo, the cost. I use a water resistant bag. It’s not waterproof but it can hold off heavy rains for a long time. Sometimes, I also bring a clear plastic bag and use it as a DIY rain cover. Nowadays, nagdadala na talaga ako ng payong everytime I travel. Na realize ko din that it adds a lot of convenience (not only when it’s raining but also if its really sunny). Great pics! They reminded me of my El Nido adventure way back in 1997. 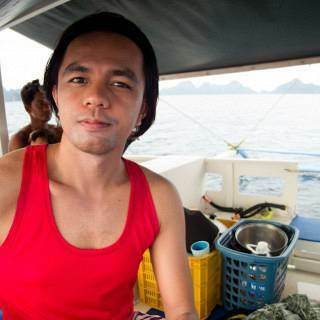 I did island hopping from El Nido down to Brooke’s Point for 10 days and spent around 6K! Hope to visit Palawan again soon. My gosh! That’s still on my bucketlist. I’m so envious :) I want to see more of Palawan! 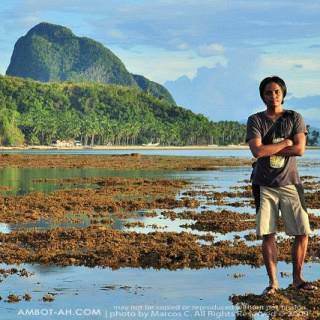 i enjoyed reading your blog and it gives me more adrenaline to do what you have done exploring palawan. . . thank you for sharing. . . .
thanks for your comment too dean. can you suggest some nice, cheapish places to stay in palawan? Hi Marcos!! thank you so much for all the super valuable information. I’ve only just discovered your blog investigating Puerto Princesa prior to my trip on 3rd of march and I just can’t get enough of your entertaining and enlightening views on your travels!! I’m going to do exactly the same trip as you to the Underground River and I’m really looking forward to the jungle trek especially. The only thing I’m slightly worried about is the sheer amount of tourists and the increasing popularity of the whole area. 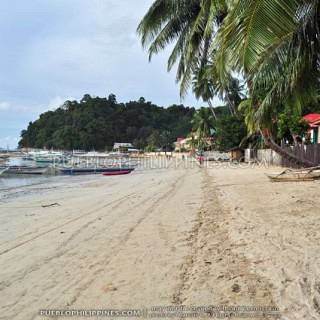 Did you find “any” really quiet untouched beaches with hut style accommodation within an hour or two from Puerto Princesa? I mean backpacker style with no pretensions or hype. 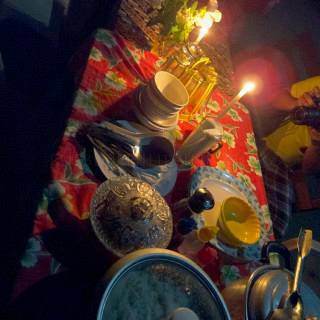 I wish I could make it up to El Nido but not enough time. I only have 4 days in total and would love to escape the resorts, the tourists and the organized trips and find one of those secret little havens where the tours haven’t reached. Thank you again for the amazing photos and the all the info! !